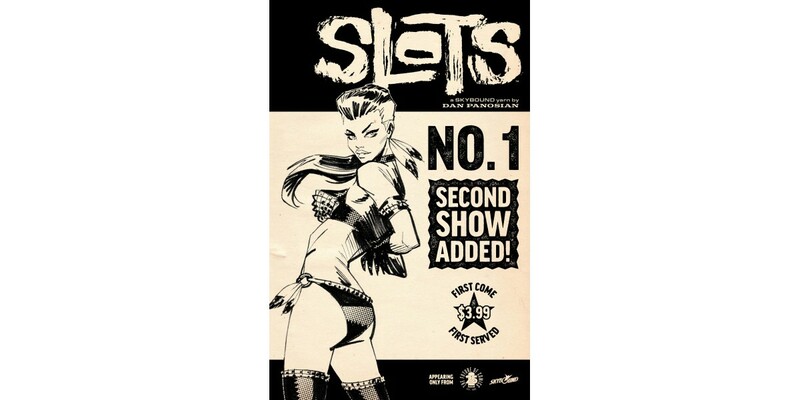 Image Comics/Skybound Entertainment is pleased to announce that the debut issue of writer/artist Dan Panosian’s SLOTS will be rushed back to print in order to keep up with customer demand. In SLOTS, former fighter Stanley Dance is on a rocky road to redemption, but he just might have to settle for going down swinging. SLOTS #1 will remain available for purchase across all digital platforms, including the Image Comics website (imagecomics.com), the official Image Comics iOS app, Comixology’s website (comixology.com), iOS, Android, and Google Play. SLOTS #1, 2nd printing (Diamond code: AUG178960) and SLOTS #2 (Diamond code: SEP170779) will arrive in comic book shops Wednesday, November 8th. The final order cutoff deadline for comics retailers is Monday, October 16th.